- Secure your site against scammers / hackers. 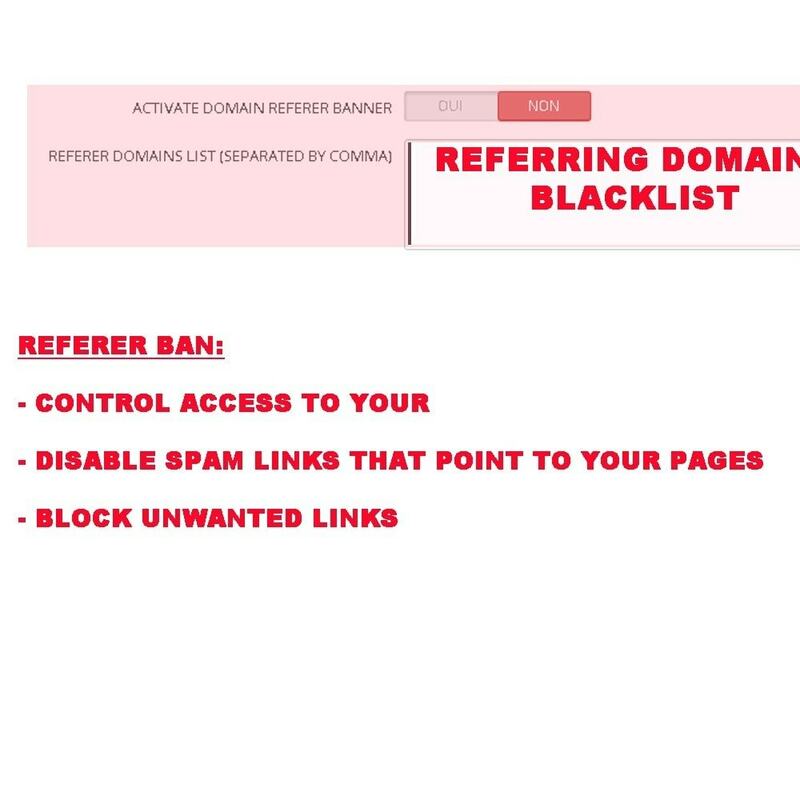 - Possess a powerful tool to block the origins of spammers and hackers. - You can intervene instantly and stop scammers / hackers. - Manage incoming flows to your site. 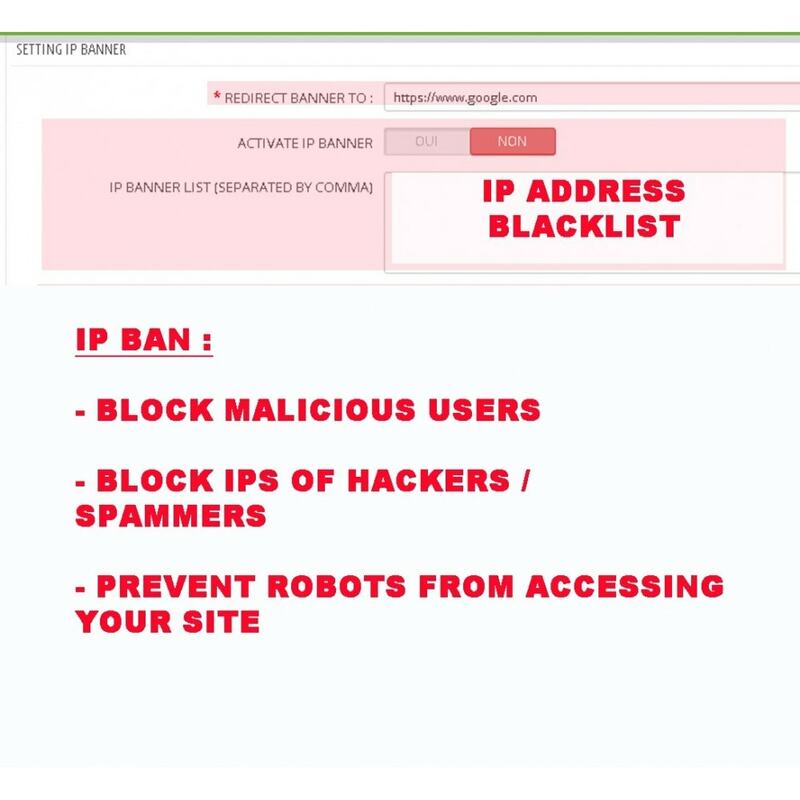 You can prevent Ips belonging to people or dangerous sites from accessing your site, for example an IP that spam your site by SQL injection hack or saturation attempts. Blocking IPs is very useful for blocking robots that execute automatic scripts. This third feature allows you to block users from one or more countries to access your site. 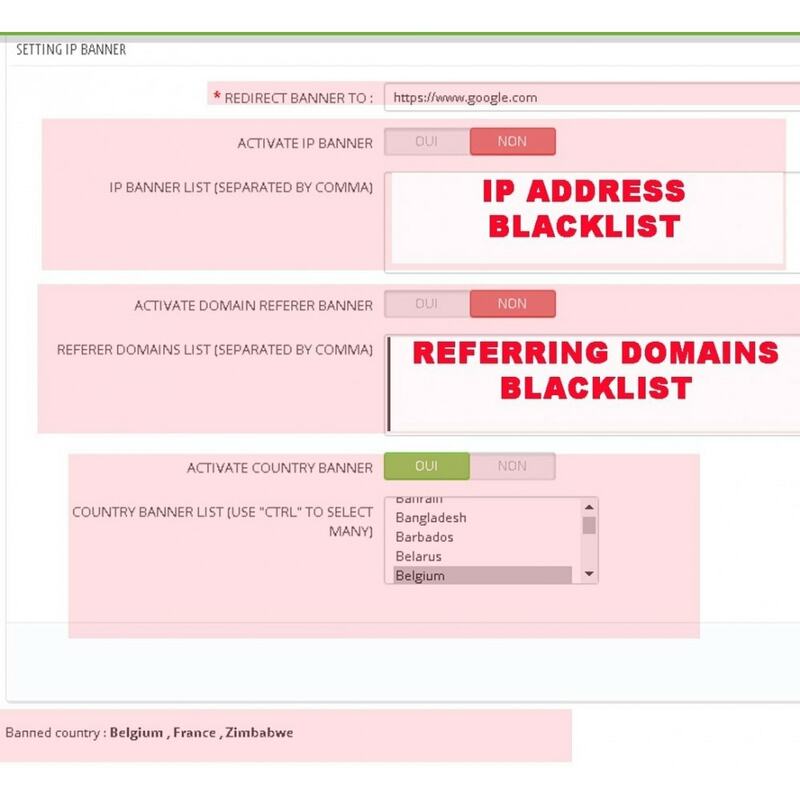 You can create a blacklist for all three features. the user, referring domain and country of origin.